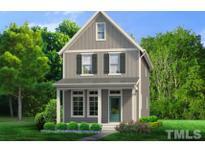 Find Chapel Hill, NC New Homes for sale. View Photos, Maps and MLS Data Now! The Legacy At Jordan Lake - Presale for comp purposes MLS#2250181. 1369. Silver Creek - This home features another master on the 2nd level & a 2nd laundry, in addition to an office space & bonus room. Convenient to Duke and UNC. MLS#2248875. 81. Legend Oaks - Few opportunities remain in Final Phase! Excellent location off 15-501! MLS#2248645. 935. 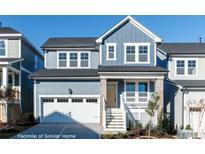 Award winning builder J. Fuller Homes can't wait to "Build Your Life"! *Home is under construction* MLS#2248248. 2979. The Legacy At Jordan Lake - The Juniper plan with a third car garage MLS#2248409. 1369. Briar Chapel - Pre-sale; For comp purposes only! ! MLS#2247896. 3652. Tankless water heater, undercabinet lights, walk-in pantry, sealed crawlspace, & custom-quality cabinets & finishes throughout. MLS#2247054. 2898. Briar Chapel - Pre-sale for comps purposes. MLS#2245999. 2527. Briar Chapel - Pre-sale. For comp purposes. MLS#2245732. 2527. Briar Chapel - Pre-sale for comp purposes only. MLS#2245697. 2527. Briar Chapel - Pre-sale for comps purposes only. MLS#2245706. 2527. The Legacy At Jordan Lake - extra square footage with included bump on side of home MLS#2245490. 1369. Westfall - For comp purposes only. MLS#2245466. 1886. The Legacy At Jordan Lake - Presale for comp purposes MLS#2244520. 1369. Briar Chapel - Pre-sale for comps purposes. MLS#2244583. 2527. 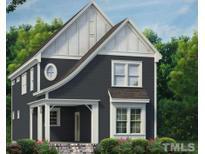 Briar Chapel - This home is Environments for Living Platinum Certified. MLS#2244205. 3652. Briar Chapel - Your awe-inspiring master bedroom offers an amazing bathroom and a luxury Walk in Closet MLS#2244198. 3652. Enjoy Briar Chapel’s resort-style living w/ trails, saltwater pools, fitness center & more! MLS#2244134. 2898. Briar Chapel - Pre-sale for comp purposes only. MLS#2244146. 2898. Wooded cul-de-sac homesite with unbeatable privacy and breathtaking views! MLS#2244158. 1886. See it today before it's gone! MLS#2244133. 1886. Starting at $799,900 with current selections. MLS#2243870. 1320. The Legacy At Jordan Lake - 5 hole short iron golf, pool, walking trails, tennis courts & 24 hour fitness center. MLS#2243739. 1369. Briar Chapel - Along with a private study and secondary bedroom this will be the home of your perfect retirement dream. 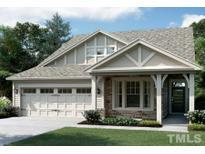 MLS#2243434. 3652. Enjoy Briar Chapel’s resort-style living w/ trails, saltwater pools, dog parks, fitness center & more! MLS#2243140. 2898. These statistics are updated daily from the Triangle Multiple Listing Services, Inc. For further analysis or to obtain statistics not shown below please call Highgarden Real Estate at 919-759-5668 and speak with one of our real estate consultants.